Make this creamy and spicy Buffalo Chicken Wrap Sandwich in just 5 minutes. 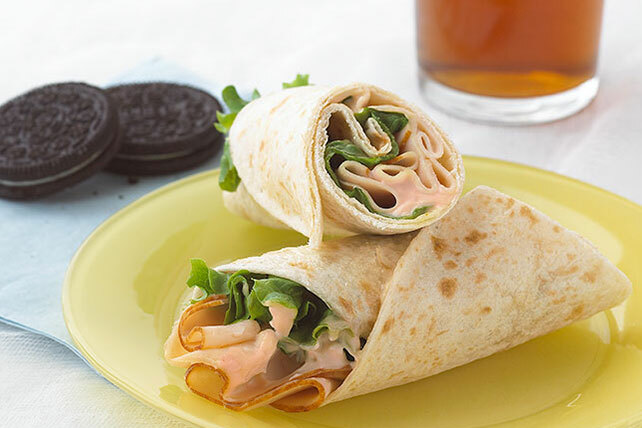 This Buffalo Chicken Wrap Sandwich is a yummy single serve recipe. Mix mayo and hot sauce; spread onto tortilla. Top with lettuce and chicken; roll up. Prepare using KRAFT Light Mayo Reduced Fat Mayonnaise. Top chicken with thin tomato slices before rolling tortilla up.